We’re Luke and Jo, and we’re behind the PWYW Tauranga Half Marathon. We own and operate a small event management business Event Day, from our home in Whangamata (recent imports from our previous spot in the Waitakere Ranges), working around our three small girls; 6yr old Ruby Bo, and 4yr old twins Scout and Edie. 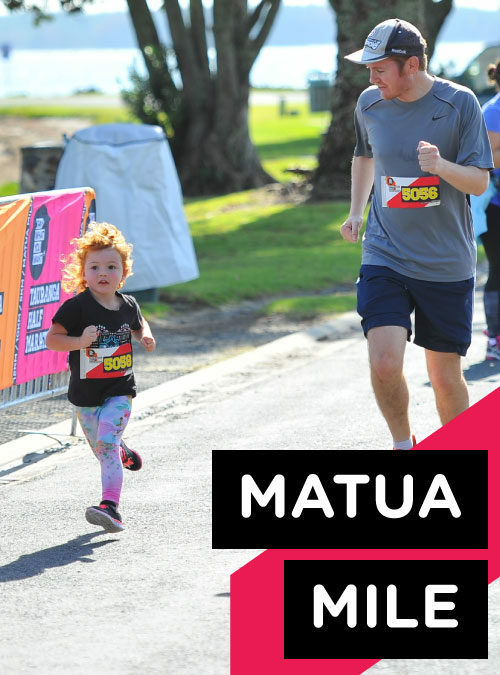 Event Day has been managing events in Tauranga and Mount Maunganui since 2010, and we are frequent visitors to the Aunties and cuzzies in The Mount. 2018 was the first year Jo was officially back on deck (part-time) since having babies. Previously she dabbled at night, working for wine and alone time. Luke is fizzing to share the to-do list. 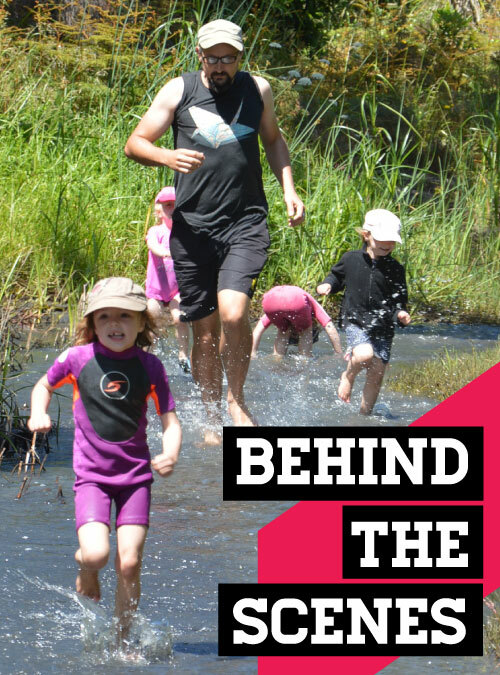 If we won lotto we’d start a school in Whangamata like Bali’s Green School (https://www.greenschool.org/), we’d install solar panels, we’d invest in other people’s sustainable and social initiatives, we’d travel with our children – around New Zealand, the Pacific Islands and to random and weird far-flung destinations. Since we don’t buy lotto tickets, we’ll settle for expanding the vege garden, getting hot water to the outdoor shower to wash off sandy little people, our first camping trip with three kids in tow, and working our arses off to make New Zealand’s only Pay What You Want running event blow your socks off. It’s always been our mission to make sure everyone has the best day at the events we’re involved with. To give someone an awesome experience, and memories of that, is a cool job. 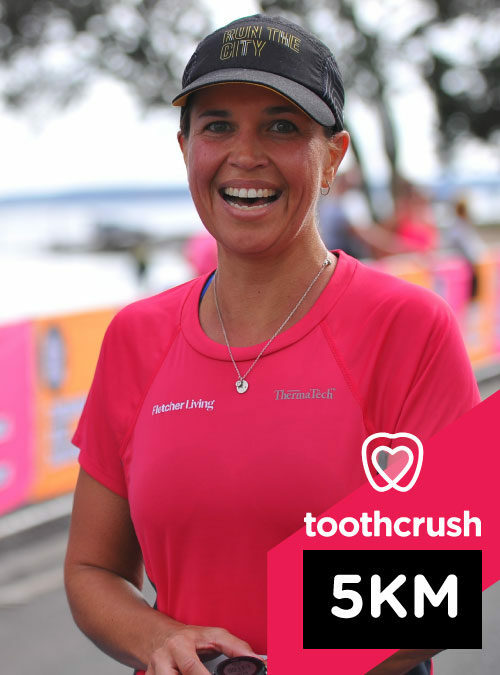 The finish line is our favourite place to be on event day (and coincidentally, where we met). We also like entering other people’s events too. Oh, and we’ve won a few awards (before we had children…back when we had time for that sort of hoo-hah). Winner – Best Environmentally Sustainable Event 2008 (NZAEP). 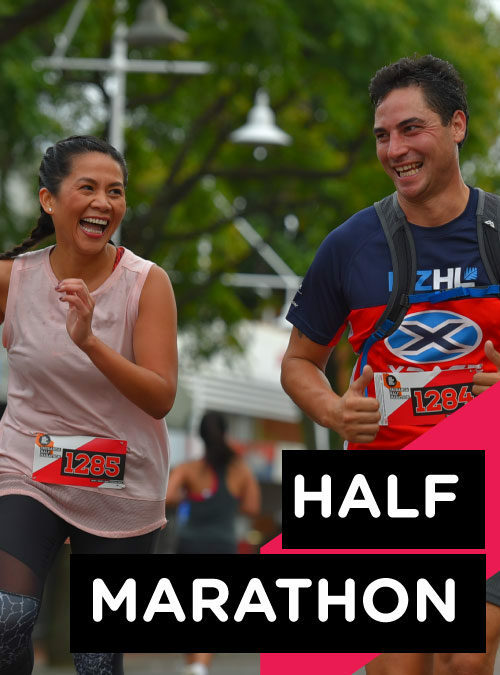 See you at PWYW Tauranga Half Marathon 2019.